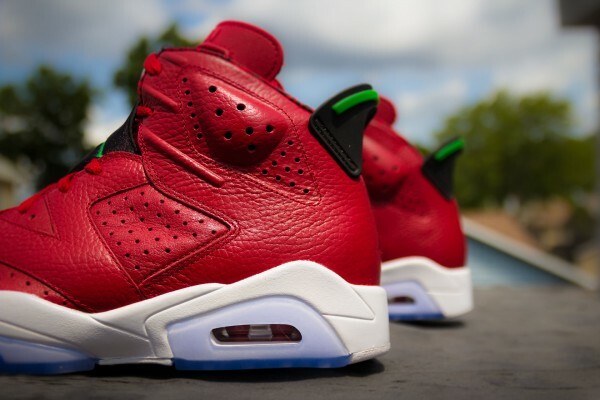 In light of the OG Air Jordan x Spike Lee Christmas-inspired Spizike’s returning next month, Jordan Brand decided to kick off the campaign with a special rendition of the iconic Air Jordan 6′s, dressed up in the hybrid models very first green/red colorway. The 6′s get hit with a predominately vibrant red leather upper with hints of green on the tongue, collar and heel, all on top of icey translucent blue/white mid/outsoles. 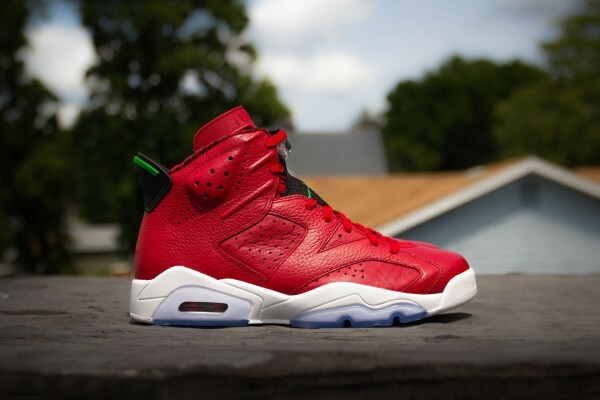 The Air Jordan 6 “Spizike’s” will be available over at the Packer Shoes online shopand select sneaker boutiques on August 9th in limited quantities. 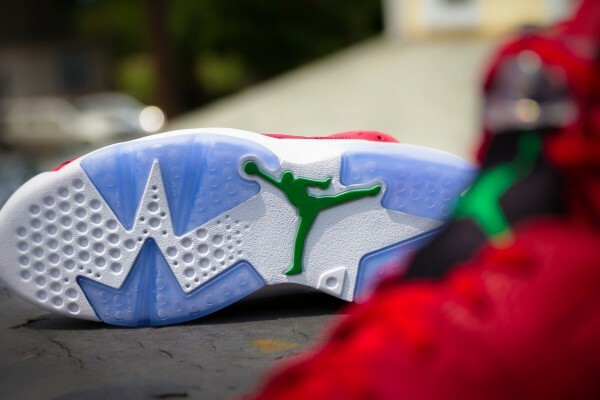 Check out more detailed images of the sneaker below.